I have been sewing - sometimes having a garment you can put on yourself in in days rather then weeks (or months, in some of my knitted project cases!) is a nice thing. I wear a lot of jersey, and bought two massive lengths of organic cotton jersey last summer before I realised the lovely Alabama Chanin style clothes it was intended for really don't suit me; all those raw edges, the exposed stitching, the intricate applique, I made one top and it just looked awful on me. Which was a shame as I enjoyed the hand sewing, machine sewing is a bit daunting! So, and in an attempt to cure me of machine sewing phobia , I went to the other extreme and chose the simple jersey dress pattern 'Coco' from Tilly and the Buttons. This has been made by SO many people, with so many modifications (you can find them on many blogs, and on its own Pinterest board), it was easy to get an idea of who it would suit. 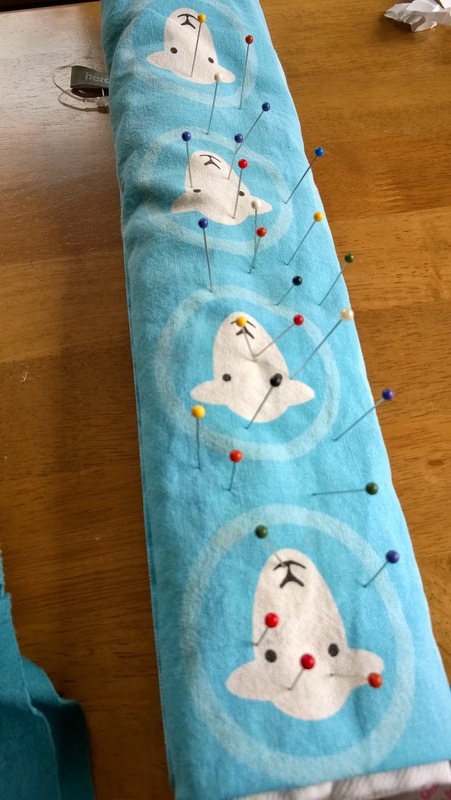 The genius of this pattern is that it practically suits anyone! Now, the machine sewing phobia - I have made things in the past, but I use guesswork and hope (and red wine) to get me through. Even though I was probably the last generation of kids to do 'Home Ec' we didn't get to make clothes (in fact I made a clam shaped in cushion in pink satin and fun fur (!!)) so I have no idea what I'm doing. 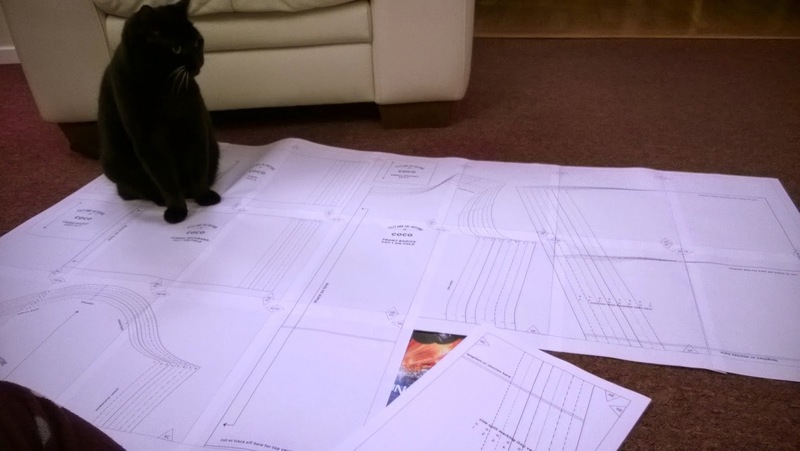 And here again Tilly steps in with her absolutely fantastic sew along tutorials for this pattern. Which is good when you're already feeling a bit scared of the knit fabric, and have heard tales of how hard it is to sew with. First stick the pattern together (if you bought the digital version) this is strangely relaxing, and the cat helped. I measured myself and tried to work out what size I was - which is between two sizes as it turns out, but again there's info on how to deal with that in the instructions. 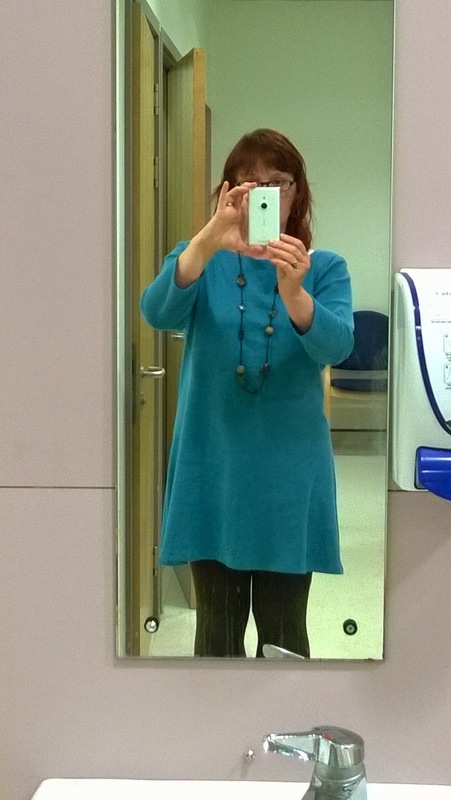 I finished and tried it on on Sunday night...and ..somehow I'd made a giant frumpy dress arghhhh!!! 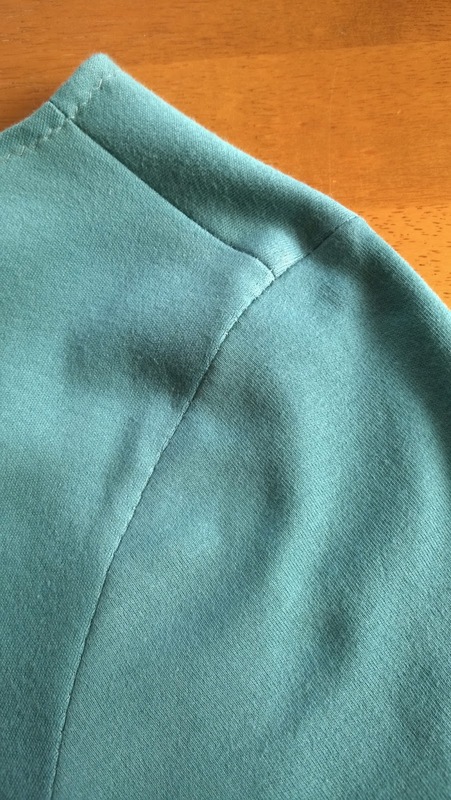 (big lesson - read the finished garment size measurements properly!) . 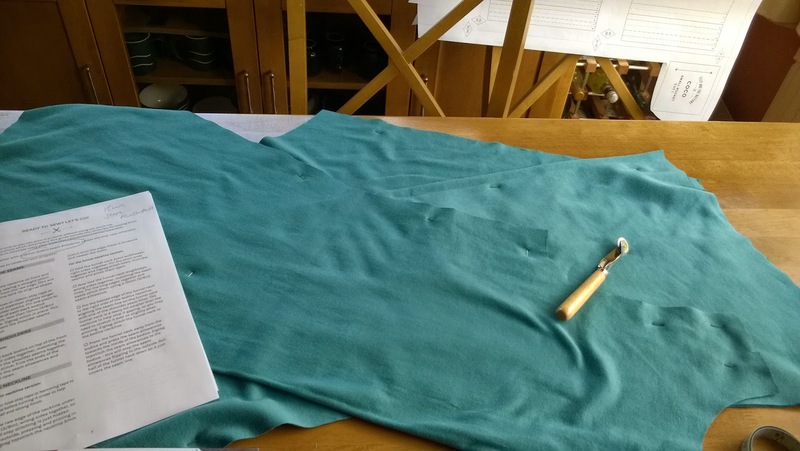 But, I felt now I could cope with taking the whole thing apart up the sides, take in by about 2 cm each side, and shorten both length and sleeves. I decided against pockets on this occasion. I am going to make another one, probably in a patterned jersey this time, or with a different coloured yoke, with the pockets, maybe the top version...but first I have to look at ALL the fabric on the internet.